You’d probably be amazed at level of punishment your commercial or industrial roof takes over the course of one year. 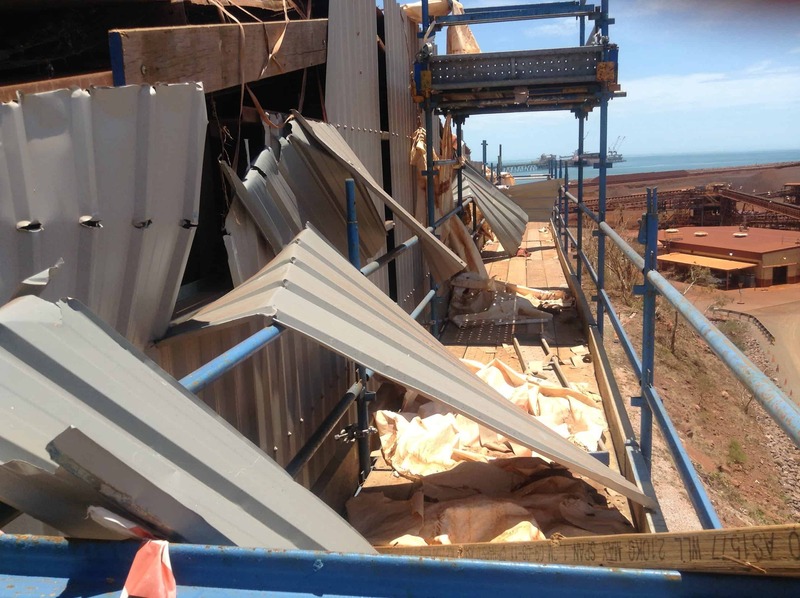 Especially in an unforgiving environment and climate such as found in Western Australia, roofs can be subjected to all kinds of wild weather, sun damage, wind and moisture. It is recommended that property owners or facility managers organise to have a regular inspection done each year to ensure it is still in good working condition. Roof inspections could focus on all of the critical elements that make up the external membrane of your building, including the roof sheeting, all water collection plumbing such as the gutters, rainheads and downpipes, air ventilation and ducting. It is also important to conduct a thorough inspection for leaks inside the structure and in the ceiling of the workplace. Anything that looks suspicious should be noted down, either for immediate repair or for future reference. This is particularly important on older buildings and with roofs that are older than 30 or 40 years because many problems can simply look like “old age” and be ignored until they cause a significant problem. Don’t forget that it is always easier and cheaper to identify and fix small problems before they become larger and more expensive issues or require a complete roof replacement solution. Before and after storm season in Western Australia, which generally runs from around November until April each year. Getting an inspection before the bad weather hits can help to identify any areas that need repairs, or even if you might have to consider roof replacement solutions – you don’t want a cyclone to hit and your roof to be irreparably damaged or for it to cause thousands of dollars of damage to your workplace. Getting an inspection once the season has ended can also help to identify any problems that may have occurred and give you some leeway to fix the roof before the next storm season approaches. At the same time as other workplace inspections and regular maintenance schedules are being carried out – for example, if you are getting your air-conditioning units inspected and maintained every year. It can be easier to set a month aside for such inspections, and it can be easier to keep track of the necessary documentation if it’s all done at one time. It’s important to ensure that a regular roof inspection is carried out by a professional roofing company or contractor such as PRC Building Services, as they are experienced in looking for signs of weathering and wear and tear, as well as leaks, major storm damage and moisture. They will also be able to draw up a plan for repairs and an ongoing maintenance schedule or be able to help in the event that you need a total roof replacement solution.